It seems that WEG Tryon just can’t seem to catch a break. Mark Bellissimo’s ambitious vision for these World Equestrian Games has been met at every turn with construction delays due to spring deluges, permit setbacks and other roadblocks. A local tourist hotel that was to house visitors, the Melrose Inn Tryon, burned down in early September. As riders and personnel began arriving, there was a shortage of suitable grooms’ quarters, problems with hay delivery, slick footing, steamy stables, lack of exercise facilities, unreliable shuttle service, and many of the other issues that tend to plague huge undertakings such as this. 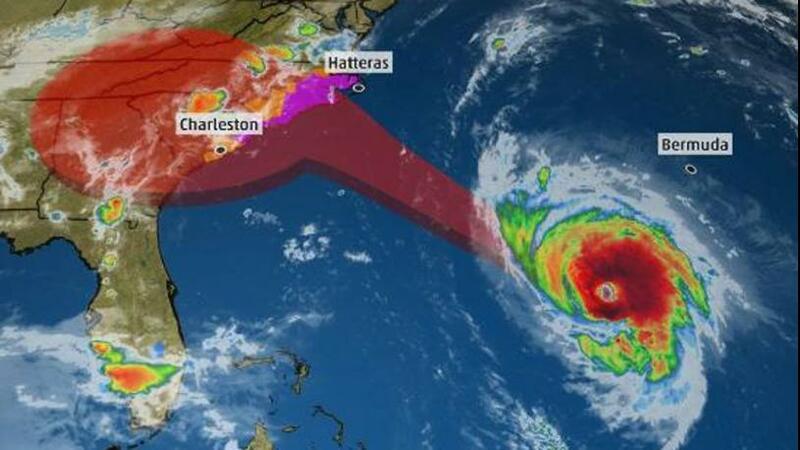 And now Aunt Flo is coming to town … a category 4 hurricane named Florence that is taking dead aim at the Carolinas that is just about as welcome as, well, Aunt Flo. I was a guest of the Bellissimos as part of a press junket last October and was impressed with the facility and their plans for it. I thought that building three hotels on the property in that short of a time frame was a bit of a stretch, which it turned out to be, in most part due to circumstances beyond their control. I arrived today and had a chance to wander through the sprawling facility, which is unrecognizable to me as compared to less than a year ago. Massive unpaved car parks (one of which had flooded the day before with torrential rains) now overlook the main grounds; white tents abound, housing all manner of merchants; evidence of recent construction is everywhere (I was told the first-floor windows of the media centre were just installed that morning – hopefully they will survive the coming onslaught of wind and rain.) Everybody I have run into, staff and volunteers alike, seem to be doing their best to be helpful and smooth out the opening-day headaches. I desperately want these to be a good Games – hell, a great Games – as it would be travesty if they turned out to be anything less than a triumph after the superhuman amount of work put into hosting them at the last minute when Bromont dropped the ball. ‘Prepare for the worst and hope for the best’ seems to be the general attitude here, both at the venue and among the local population. It appears they are prepared to tackle whatever comes their way … hell or high water.